A one day mini retreat in Pai, Thailand to prepare you for the New Year! We will be honoring the New Year, setting our intentions and diving into Self Love in a way that feels authentic. This retreat is for women who wish to reconnect to their innate wisdom, & the natural world, while playing in a safe and sacred container. Rediscover the power of your voice. And release blocks towards living your creative dreams. With experienced facilitators, & wild women Christina Gomes, Sophia Heller & Jenna Bursey. 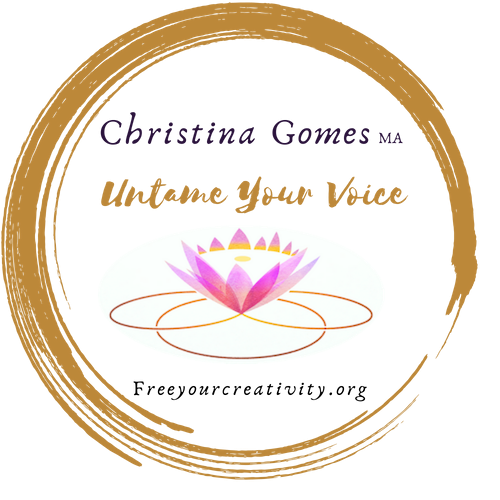 Christina Gomes is an international retreat facilitator, singer songwriter, and Yoga educator. Most recently she was initiated into the sacred art of Cacao Ceremony and has been working with the plant medicine to help women connect to their hearts, and live a more vibrant, creative life. When we unearth the truth of who we are, we can’t help but sing it outloud. Utilizing sound healing techniques, earth wisdom, and Yoga philosophy, Christina holds space for your own unique transformation. Creative writer, Yoga teacher, world traveler, daughter, sister, friend, Sophia is guided by an inherent sense of wonder, an intense curiosity to discover a deeper purpose to life, and a profound trust in herself and the universe. By incorporating movement, stillness, philosophy and self-contemplation into her teachings, Sophia strives to gift others the space to explore their own inner selves and move through life with more trust and ease. Jenna Bursey is an traveling Yoga educator from Vancouver, Canada. With a background in childhood education and psychology; she brings a playful attitude to every space she shares. Jenna began her Yoga journey in 2014 and in 2018 she completed her 500 hours of Yoga Education in Chiang Mai, Thailand. She continues to study Traditional Yoga Philosophy while traveling through South East Asia and India. Jenna is a lively soul looking to help others connect to their inner child and embrace their right to be playful. With both movement and philosophy Jenna offers a balance of modern and traditional yoga to provide you with a well rounded experience. Uncovering the true Nature of the Self is what Yoga is all about. Beyond the roles we play in our day to day life, is an essence of you that is indescribable. When you realize how powerful you already are, as you are. Confidence and self care a natural byproducts. Our retreats help women align with thier true nature which has Satchitananda – Consciousness, existence & bliss. Sankalpa in Sanskrit can be translated to our highest vow, when we set intentions based in devotion, our “New Years resolutions” are easy to follow.